Updated 8/24/18. So again we won’t rehash news and weather you can get online and elsewhere. Rather we wanted to update you on what the situation is here on the ground on Kauai. As the storm tracks nearer, intermittent strong rain and wind have intensified. It is a somewhat eerie situation. A few days ago, people were buying out stores and lines for everything were longer than we’ve ever seen. By yesterday, however, things had largely returned to normal, or even below normal in terms of lines and crowding. It feels like everyone has hunkered down to wait on the storm. As of 11am, the hurricane watch for Kauai has been cancelled/downgraded to tropical storm. We of course continue to keep eyes peeled on each update from NOAA. The news there has been relatively reassuring, with the storm continuing to downgrade and a turn away from the islands and to the west anticipated within the next 24 hours. Being such a large storm, however, the impacts are great in any event. Our primary focus is on the safety of Hawaii’s residents and the nearly 300,000 visitors currently here. There is concern about Honolulu, both for its residents, and because of role as a vital lifeline to all of the Hawaiian Islands. 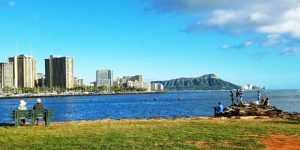 Any interference with harbor services in Honolulu could have catastrophic impact on our state, with its near complete reliance on ocean transportation for all goods. We know that there has been extreme rainfall and flooding at some places on the Big Island. 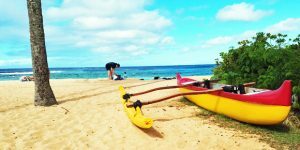 Some but not all flights in Hawaii have been cancelled by airlines. In addition, airlines are continuing to waive fees, and now for a more prolonged period. If you’re traveling through this weekend, you will definitely want to inquire with your airline. Where To Follow Hawaii Hurricane News. Following the traditional news media in regards to potential hurricanes is something we try to avoid. They simply have too much economic incentive in their reporting of all possible weather threats. Instead we monitor Hawaii hurricanes using the Pacific Hurricane Center and focus on the “forecast discussion.” For us this tends to give the best technical analysis. From there we also look at the wind speed possibilities among other things. You’ll also find more frequent updates for each island using the normal NOAA weather website. 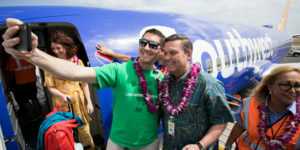 If you are currently in Hawaii or are about to be, airlines are providing some courtesies with regards to changes. 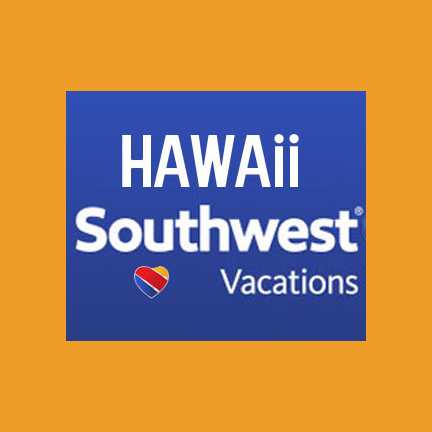 Hawaiian Airlines travel advisory offers passengers with flights through Sunday the ability to change travel until September 9. This is without additional fees or fare changes. Alaska, American, Delta and United Airlines are all accommodating passengers, so check with your carrier to determine best options. The official season began in Hawaii on June 1 and runs through December 15. It’s been over 25 years (1992) since Hurricane Iniki (image above) ravaged the islands and Kauai in particular. This subject, however, is never far from the minds of those of us who live in the islands. Should there be any potential danger, the following is a check-list of ways to prepare. For 2018, NOAA is suggesting an 80% chance of near or above normal tropical cyclone activity. That translates into perhaps 3 to 6 named storms. Last year was a relatively quiet hurricane season in the islands. We’re hoping that’s true again for 2018. But 2016 was anything but calm as you can see from the photo. There were two back-to-back hurricanes in the Pacific, and our being here on Kauai, we had concerns. Don’t forget essential medications in adequate supply should something unforeseen occur (that’s always a good idea). Have water and non-perishable food on hand during your trip. Should a hurricane possibility be announced, expect store shelves to be empty. Have access to a portable radio in some form. Remember that if a hurricane seems likely, airlines may allow you to reschedule your trip. Travel insurance is something to consider because it can protect you in terms of tickets and other non-refundable deposits/payments. 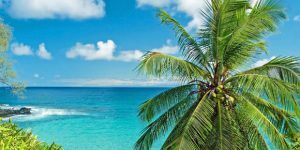 Especially if you’ll be visiting during the peak hurricane months of August through November, we suggest you consider and price trip insurance. Because hurricanes are natural disasters, insurance must be bought prior to the development of a specific storm. Gas tank filled at no less than half. Also fill propane tanks. Plastic tarps set aside in case of emergency. Keep some trash cans pristine and unused should additional drinking water storage be needed. Check that generator is still working properly. Extra batteries on hand and a radio that works in the event of no cellular service. Cash – time to go to the bank and get some. Assuming ATM’s will always work isn’t a safe bet. We arrived Kauai 8/10 and got home safely yesterday 8/24. Thanks to you, had NOAA bookmarked and monitored Hector and Lane and found those discussions informative. We did change HA flight to fly direct to Oakland vs Sacramento via HNL. We had been checking with HA so jumped when they started waiving fees so got that done immediately. We had a wonderful time as always in Kauai with a little excitement the last couple of days. Mahalo and aloha. Glad everything worked out well for you. We really appreciate you letting us know. I am trying to contact Beat of Hawaii, I need to change my flight reservation due to Olivia, Hawaiian airlines told me this must go through this. Ompany. I can’t send a email or find a phone number. The only thing I found was you have to make a commenting their blog. We do not sell tickets, make reservations, or are in any way involved in ticketing transactions. We merely provide information about airfare sales and links to the airlines offering them. You need to contact the airline as it appears you were given incorrect information. Sure appreciate your “non-hyped” updates. Looking forward to visiting the big island in Oct. Checked with our host and he said the Kona Coast was just wet without major flooding at his house. Mahalo! Thank you so much for the updates. We are traveling to Kauai on Sunday and are grateful for your first-hand information. Hoping for your continued safety, and a quick return to the usual! Thinking of you as the hurricane bears down. Glad it’s been downgraded but we know you all are still getting plenty of rain and wind. Stay safe, and thank you for all the reports! Praying for the safety of the Islanders, particularly for the Kauaians who have suffered enough at mother nature’s hand & where I’ve spent many happy days. Will come again in October. Go Hawaii Little League–hope you win the Championship! My family and I are currently in Maui. I have tried to get us an earlier flight out with Hawaiian Airlines, but they have no flights available. I tried again today, now the line doesn’t even ring through. So our only option us to stick it out and see Hurricane Lane through. Thoughts and prayers are with you that this soon passes by with out much damage or displacement of natives and guests. Hang in there! Let us know you are safe.